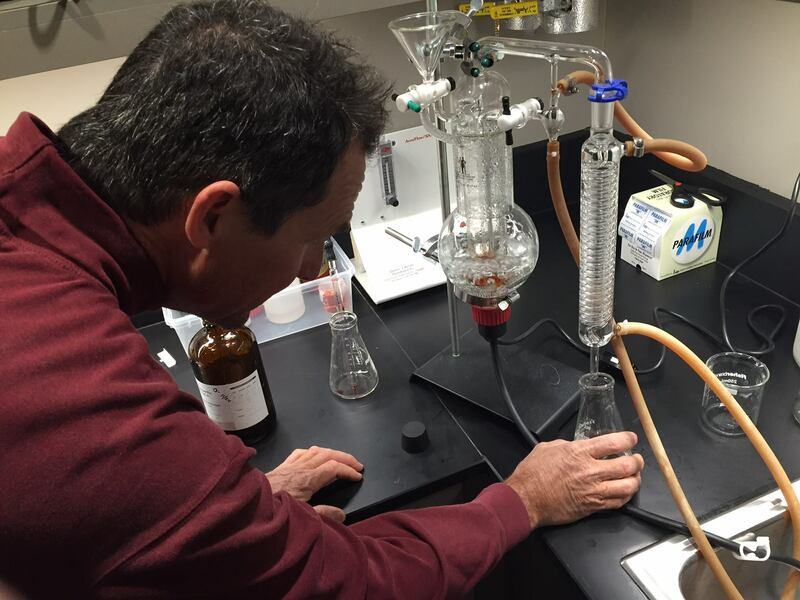 The on-campus winery serves as a teaching lab where students learn the concepts of producing wine by providing them with the opportunity for hands-on learning that cannot be duplicated in a classroom setting alone. The winery has the production areas and barrel and case storage sufficient to support the commercial production of 3,000 cases of wine per year. 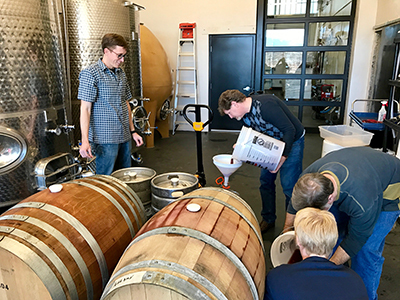 Students who enroll in the Enology Practicum course, VEN 195E, make wine on an industry scale under the supervision of the Yavapai College instructors. The winemaking tasks which take place at the SWC follow the same seasonal schedule as the local wineries. The life-cycle of our wines begin at grape harvest in the late summer/early fall. 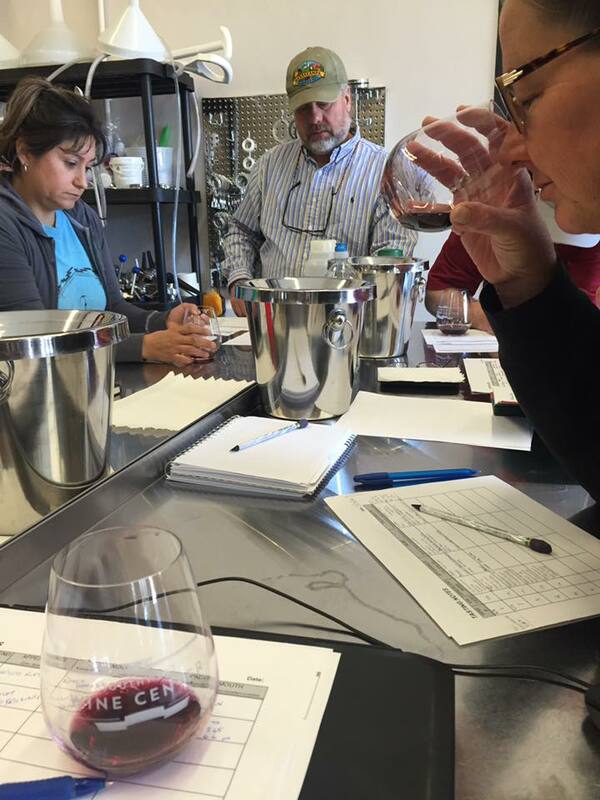 Students follow the production of the wine through processing, fermentation, racking, lab analysis, blending, fining, filtration, and bottling. 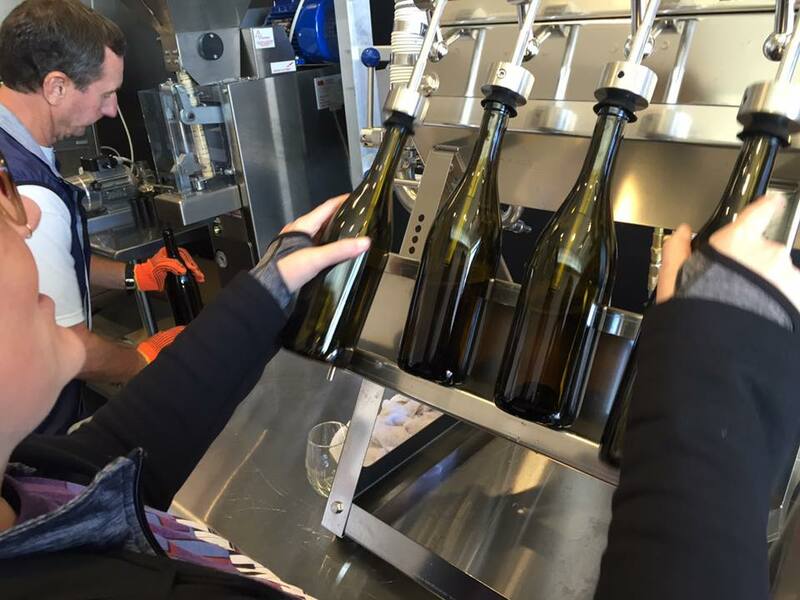 Once the final product is labeled with student photographs and tasting notes it will be made available for sale in the SWC Tasting Room. At Yavapai College, we believe that the design solution must be sustainable. The design concepts listed below are in the spirit. By considering our planet’s ecology, its effect on our long-term economics and taking our part in the development of an equitable community, there is a bonus for everyone. Adaptive Reuse is a process that adapts buildings for new uses while retaining their original features. The teaching winery was re-purposed from an underutilized outdoor racquetball building on campus. The winery contains four main spaces, one in each former court: a fermentation room, two barrel-aging rooms and a tasting room where students will gain real-world experience in marketing and selling Yavapai College wine. 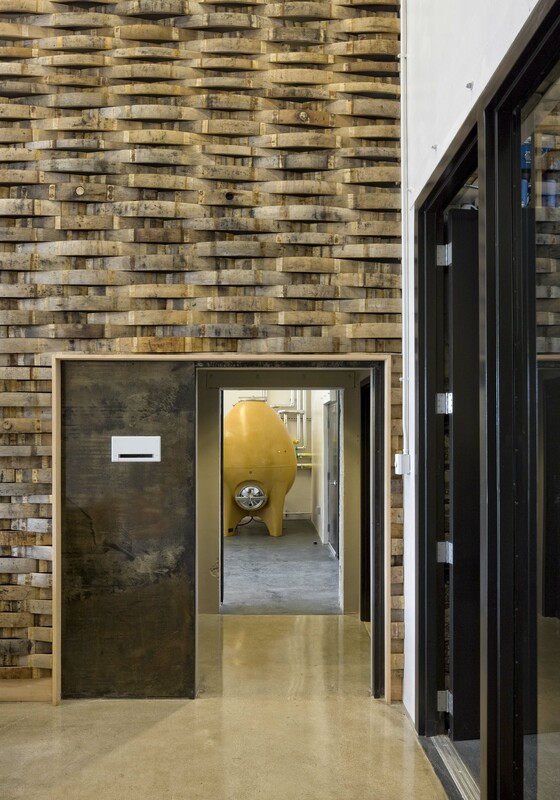 The overall design of the winery itself becomes a teaching model of sustainability for the wine industry. Rainwater capture and reuse for irrigation. Southwest Wine Center’s 8,500-sqft roof is designed to shade the winery and the outside working spaces as well as channel rainwater to two 10,000-gallon the ecology of our planet tanks. The roof covers existing court spaces and encloses the building, critical to creating interior environments suitable for storing an aging wine. 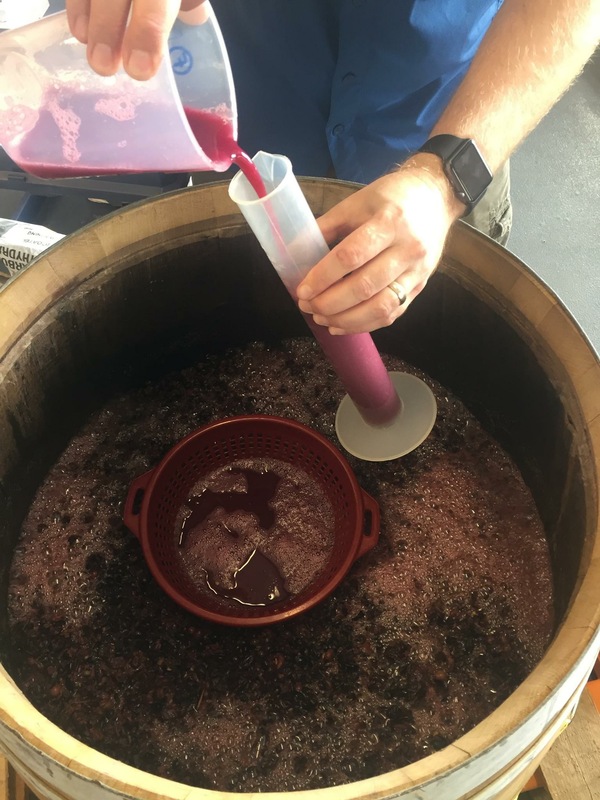 Many winemaking activities occur outside the building – crushing and pressing grapes, washing barrels and tanks to mention a few. The roof also extends the workspace, providing shade over outside work areas while reducing solar gain a large portion of the exterior wall. Additionally, a trellis covers the patio and provides shade for outdoor wine tastings. The building’s unique form allows each of the four main spaces to be bathed in diffused daylight from high clerestory areas that nest in the notches located in the upper court walls. These clerestory areas are made with insulated fiberglass panels called ‘Kalwall’ and provide as much light as possible while providing a buffer against wide temperature swings. In two of the end walls, large insulated glass doors are used for exterior closure allowing in additional daylight while providing views to the outside. Interior doors also have glass so that views to the exterior can be maintained. 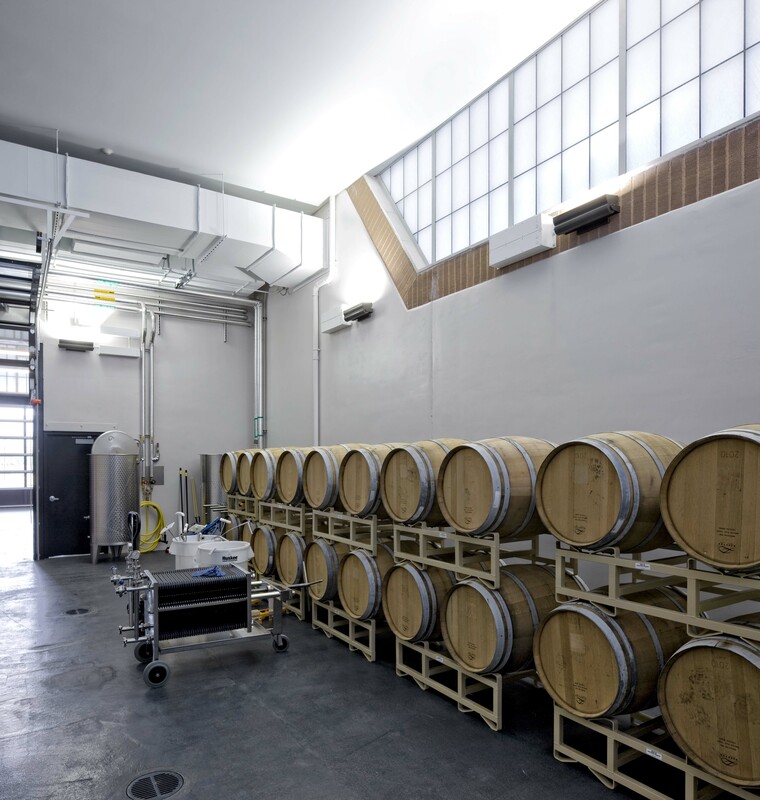 Wineries that use natural light can reduce their electrical lighting consumption by as much as 66%. The obvious benefit is reduced electric bills. It has also been proven that natural light and views to the outside will promote a healthier and more productive environment and improve retail sales. The Verde Valley is known for significant diurnal temperature swings at sunset. This natural cycle together with 20-foot tall ceilings in the winery will promote effective natural ventilation and cooling. Louvers will be placed near the floor level of the winery and high in the clerestory for CO2 purging. During this operation, the heavier-than-oxygen CO2 is mechanically exhausted out of the louver near the floor and that volume is made up with fresh air from above. For nighttime cooling these louvers are used in reverse and without the need for a fan. A thermostat opens the upper louver exhausting hot air that has been accumulated during the day. This hot air leaving the winery pulls in cool night air that blankets the ground into the winery through the lower louver. This process reduces mechanical ventilation and energy use. The along the perimeter walls will be insulated on the exterior of the concrete block to well above the required standards and finished with cement plaster. This exterior insulation helps keep the a thick concrete Mason area units (the mass of the building) cool, providing a cold sink for the barrel rooms and other interior spaces. The design helps reduce mechanical cooling requirements, ultimately reducing energy consumption. Air movement resulting from mechanical cooling increases evaporation of wine from the barrel. Reduced mechanical cooling means less evaporation and more finished wine per ton of grapes. Finally, this design saves the existing, smooth plaster finish of the racquetball court walls, an ideal durable and sanitary surface for a winery.